Record 8 channels of HD on one Mac. Dongle included. 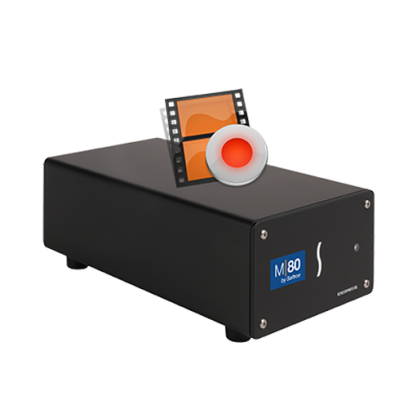 With the M|80, you can enjoy all the amazing features of MovieRecorder, in a certified hardware and software bundle. We have gathered what we think are the highest quality hardware components in order to ensure the best experience possible. Just connect the M|80 to your new Mac Pro, using a single Thunderbolt 2 cable, start MovieRecorder 3, and you are ready to start ingesting 8 streams of HD (or SD) on your Mac Pro!